I am back from a short lesiure trip to Abu Dhabi .. 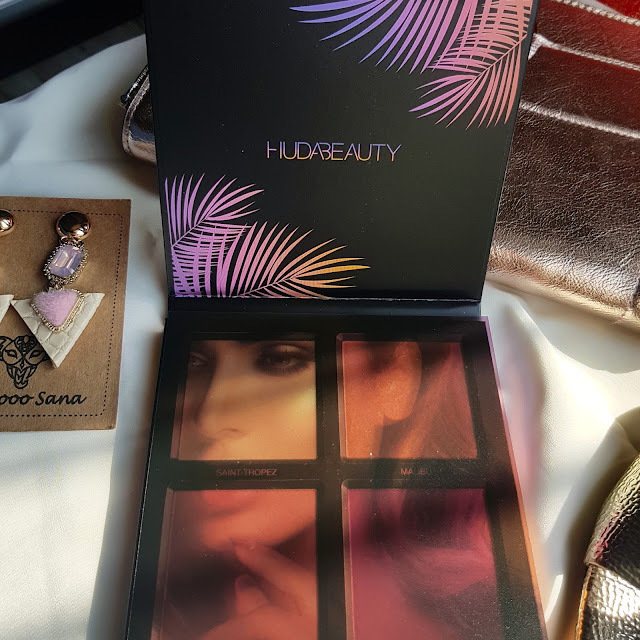 Feeling super lazy but I really wanted to try new highlighter palette from Huda Beauty and wanted to share my review on it. Its a 3D highlighter in Summer solstice. 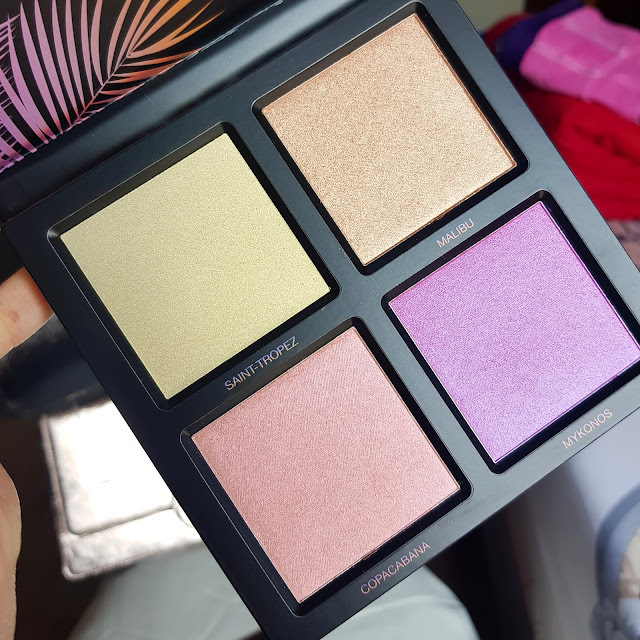 This highlighter palette has 1 cream based highlighter formula which is known for giving a natural dewy effect or which can also be layered over the powders. And other 3 are powder base highlighter. These highlighter comes in a square palette with a full size mirror on one side. The four highlighters are divided into 4 quadrants. Saint Tropez It’s a cream base highlighter a bright gold with warm undertones. The creamy consistency dries out to powder form after application. Its little tacky as once is sets in its difficult to blend. Gives complete opacity and highly pigmented. It does give metallic sheen but the shade may match on only few skin tones. Malibu it’s a copper shade with warm undertones. It gives semi opaque coverage and lasts for around 8 hrs. Copacabana It’s a soft pink with warm undertones. It gives pearly sheen when applied. 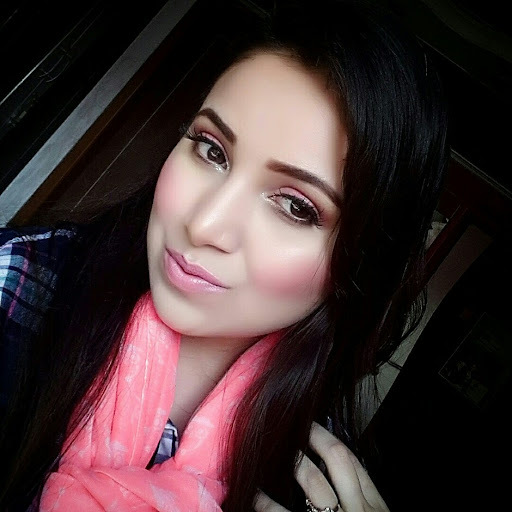 It gives hint of pink color to cheeks which really looks natural. The texture is soft and blends effortlessly into skin. Mykonos It’s a beautiful deep magenta highlighter it has cool undertones and contains iridescent shimmer. 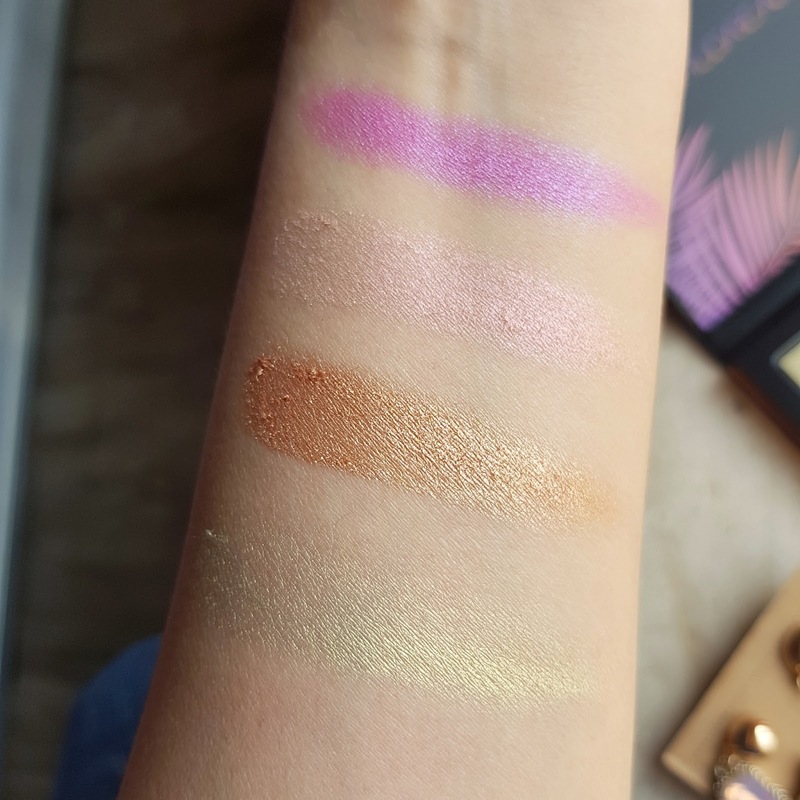 Its highly pigmented but gives semi opaque coverage in one application .. the formula is buildable having dense texture. Its quite long lasting and blends easily into skin. It gives little metallic sheen when applied on cheeks. Overall the texture is thin and not so dense its easy to blend. Also they are quite long lasting. 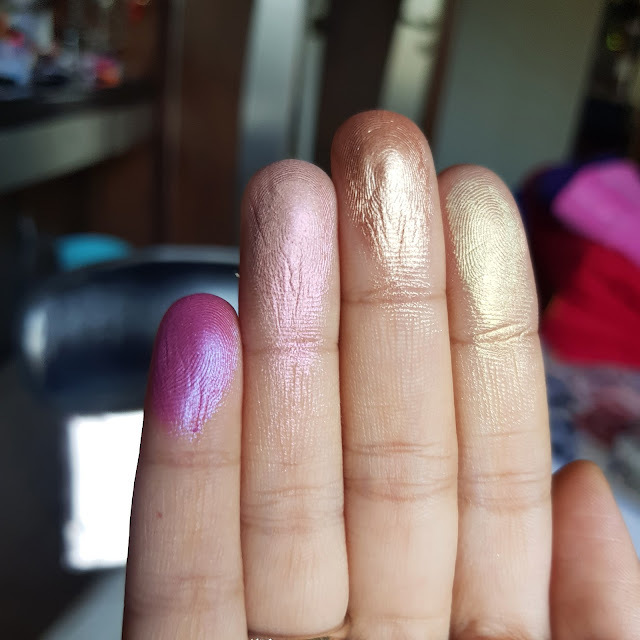 The shades really give you metallic sheen also you can use them for natural glowy look. I love using highlighters even on daily basis. Well this palette I do recommend for all skin types and for parties. Also do try them before getting your hands on them. I personally loved Mykonos I never had tried purple tone highlighters and so this was completely different for me. 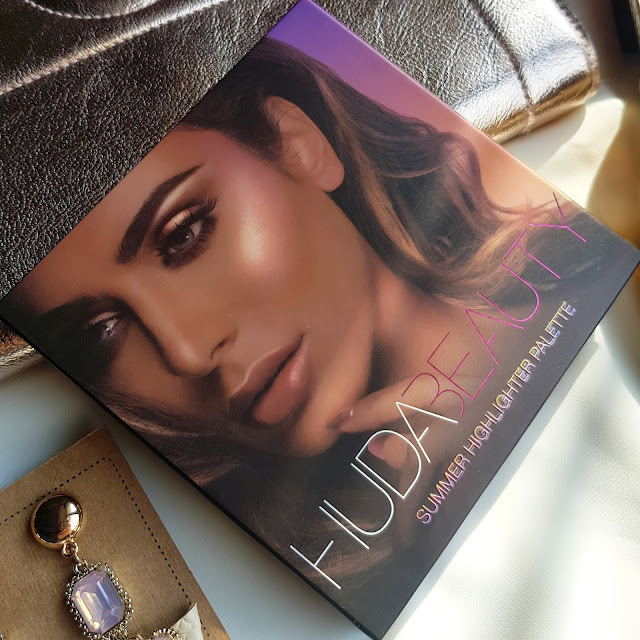 Have you tried any oh huda beauty highlighters? If yes, which one is your favourite ? 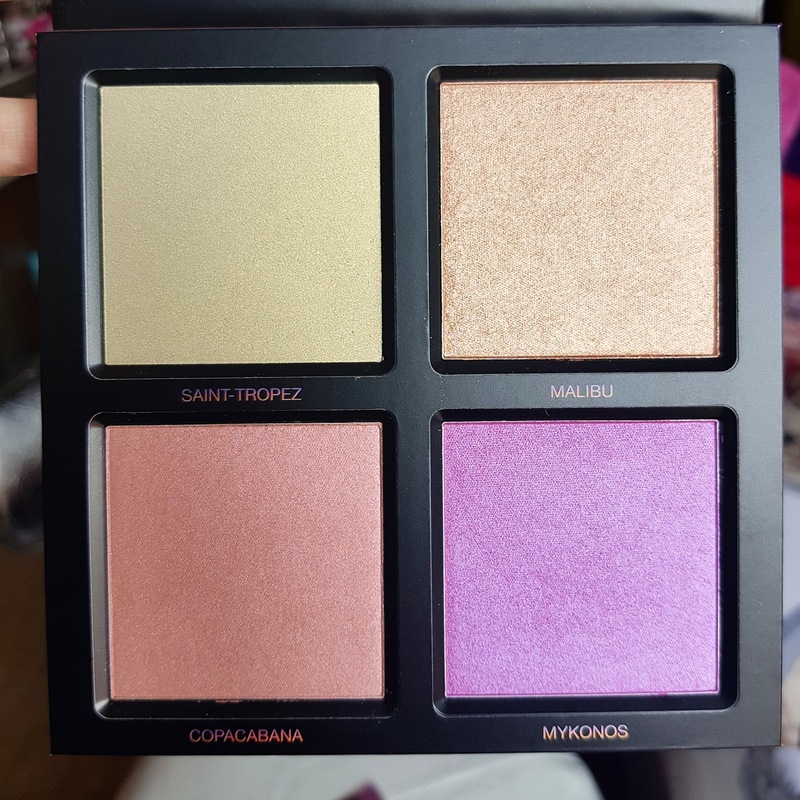 I bought this palette, after reading your post! <3 I love to read your blog posts. So well described and detailed. I learned a lot from your posts. Recently, I am thinking of doing a makeup course. Have you seen makeup classes for beginners London ? I am thinking of doing this course by Lina. As I have seen her makeup earlier and did also from her. She is really talented and caring towards her clients and really helpful.